Please visit us at our office address above. Chris Pringle’s successful business and sporting career is a testament to his extensive knowledge of the Tauranga property market and his ability to develop targeted marketing strategies for his clients. Having experienced many different property cycles during his time in the industry, Chris also has an in-depth understanding of market trends which has rightfully put him in the top echelon of the industry. Over the past 15 years, he has built up a loyal customer base. This has been achieved with the help of his dedicated support team and with his persistence. Chris’s hard work and his ability to conduct business professionally has allowed him to achieve many impressive accomplishments. With a history of success at international cricket his steady and re-assuring manner has won him many fans and clients. Steadfastly committed to his wife, children and dogs, Chris’ family values are displayed in his Real Estate dealings. He believes that the ability to deliver freedom to move on to his clients is what partly makes for his success. It comes naturally as you will see. Dave resides locally in Cherrywood and is delighted to be back in Tauranga City listing and selling residential real estate. He is an Associate of the Real Estate Institute of New Zealand and a qualified agent in his own right under the Real Estate agents Act 2008. Dave has now been selling real estate for 30 years and still loving what he does best for you the client and customer. As an avid learner he enjoys both the mandatory verifiable and non verifiable real estate training necessary to keep his license up to date which ultimately assists you in any real estate matter whether buying or selling. Dave really enjoys meeting people and his enthusiasm and pleasant manner is easily recognised by colleagues and clients alike, putting all those people around him at ease. With a positive and assertive approach to life Dave is well balanced between family and work. Originally from Whangarei, relocating to Tauranga in 1991. Married to Lorraine for 45 years they have two daughters and 3 grandsons. Dave really enjoys working under the Harcourts banner. He considers they are industry leaders in real estate technology, are people focused and with having been awarded the Reader Digest “Most Trusted Real Estate Brand” for the fifth year running, Dave knows Harcourts Advantage share the same ideals.. Phone Dave now on his direct dial number 07 5776693 to discuss the present local real estate market conditions if you are thinking of selling or if you know of someone else who is wanting to make a real estate decision. One of the most important decisions you can be faced with is choosing a Real Estate marketing Consultant who will be committed to getting the highest possible price for your property and helping you achieve your goals. Lyn has over 15 years of Real Estate experience and along with husband Syd is consistently in the Top 20 for Harcourts Advantage Realty. Lyn comes from a Marketing background, having a post graduate Diploma majoring in marketing and many years in the marketing field. She uses this background in her Real Estate career giving exceptional service to her sellers and uses her marketing and selling skills to achieve the best possible price for your most valuable asset. Lyn has flair for bringing people and property together – the ability to create a picture to sell the dream! Syd and Lyn are a dynamic team with a real passion for real estate. Their history of success is based on honest transparent dealings with all parties – their motto is integrity – communication – results. Together this marketing and sales team can get you the best result for your property. Always ready and willing to help please phone us on 021 076 8812(lyn), 021 076 8813(syd), a/h 07 576 4930. Tony and Melissa Gardiner took a leap of faith when they took up real estate in Tauranga in 2010. Having grown up in Matua, Melissa had always wanted to return home from London, where the couple had lived, raising their five children. Both left successful careers behind. Melissa worked in sales and hospitality while Tony had worked in a range of roles across the UK and Europe which included top management positions in the electrical engineering and pharmaceutical industries. The change has paid off. Team Gardiner hit the ground running and has now amassed a stack of awards for excellence in sales and gained a reputation for exceeding expectations. ------------------------------------------------------------------------- Client focused: Tony and Melissa’s top priority is to keep the sales process as stress-free as possible by putting client needs first and keeping the lines of communication open throughout. Many clients return repeatedly, with one couple having sold through Team Gardiner four times. This is not a one-off: Return custom and client referrals make up most of their business. Award-winning results: Their track record for client satisfaction is backed up by consistently collecting industry awards for exceptional sales. Their most recent award recognised Tauranga sales totaling more than $90 million. Market expertise: Every property is different. Tony and Melissa recognise this, carrying out a careful analysis of each property and the market conditions before creating a marketing and sales plan specifically tailored to get the best price for every client. Triple the value: With previous careers spanning a variety of industries, Melissa’s sales and negotiation skills perfectly complement Tony’s analytical expertise – a combination of talents that transferred seamlessly to real estate, creating this champion team. 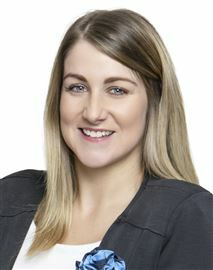 The recent addition of Tony and Melissa’s daughter Jessica provides clients with the extra availability of a third qualified agent and gives the team yet another dimension with her background in marketing and in the legal and construction industries. Sally brings to Harcourts many successful years within the sales industry, gaining awards for Business Woman of The Year and Sales Team of the year. Her friendly approachable attitude, along with drive and determination will assist and support you whether you are buying or selling. With previous management experience and many years working for two large prestigious companies, Sally's genuine passion for the industry and helping others achieve their dreams remain her ultimate priority. Keeping the lines of communication open, and certainly not afraid of hard work, Sally has enjoyed the buying and selling experience on a personal level and is eager to help encourage a smooth and positive outcome for her clients. Sally looks forward to hearing from you and will do her utmost to ensure a positive result for you. Please do not hesitate to call or email Sally today. 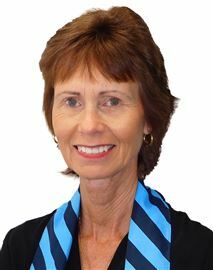 Sue Hooper Living Locally, Selling Locally Sue Hooper is one of Harcourts consistently top performing agents in New Zealand. Salesperson of The Year for Harcourts Advantage Realty No. 1 2007 – 2008 Salesperson of The Year for Harcourts Advantage Realty No. 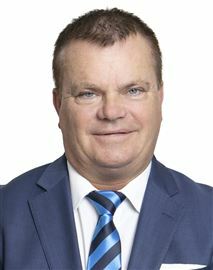 1 2009 – 2010 Salesperson of The Year for Harcourts Advantage Realty No. 1 2011 – 2012 Salesperson of The Year for Harcourts Advantage Realty No. 1 2012 – 2013 Salesperson of The Year for Harcourts Advantage Realty No. 1 2013 – 2014 Salesperson of The Year for Harcourts Advantage Realty No. 1 2014 – 2015 Over the last 20 years based at the Cherrywood office of Harcourts, Sue has established a strong reputation by total commitment to her own neighbourhood. 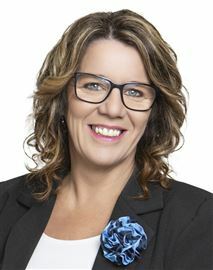 She has lived locally for 25 years and specializes in selling properties throughout Matua, Otumoetai, Brookfield, Pillans Point, Bureta and Cherrywood. Her local knowledge benefits both her vendors and buyers. By concentrating on a defined area Sue increases her efficiency and her service to individual clients. Sue appreciates the backup of her daughter, Chloe, as Personal Assistance and Steve Hunt who assists with her many open homes. Sue genuinely loves her job. 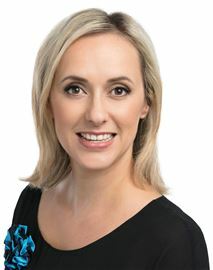 Her friendly open manner coupled with her quiet determination to give the best advice and create the best outcomes has cemented the many personal connections she has in the area, and ensured that most of her business is from repeat or referred clients. Please phone Sue anytime. She will always be happy to help. One of the most important decisions you can be faced with is choosing a Real Estate marketing Consultant who will be committed to getting the highest possible price for your property and helping you achieve your goals. Syd has over 28 years of Real Estate experience and along with wife Lyn has owned two successful Real Estate companies – Ashdown Real Estate(Australia) and Rangitito Realty(Auckland) and is consistently in the Top 20 for Harcourts Advantage Realty. Syd comes from a Sales background and has achieved AREINZ status in Real Estate. He uses this background in his Real Estate career giving exceptional service to his sellers and uses his excellent negotiation and selling skills to achieve the best possible price for your most valuable asset. 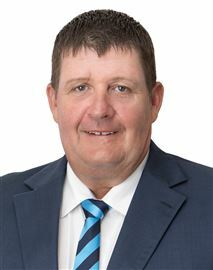 Syd is a straight shooter – he has an honest straight forward approach and friendly manner helping to bring people and property together – the ability to connect with all walks of life! Syd and Lyn are a dynamic team with a real passion for real estate. Their history of success is based on honest transparent dealings with all parties – their motto is integrity – communication – results. Together this marketing and sales team can get you the best result for your property. Always ready and willing to help please phone us on 021 076 8812(lyn), 021 076 8813(syd), a/h 07 576 4930. Location - Character - Views! Location - Sunny - Lifestyle! Water Views - Family Haven! Location - Views - Potential! Character - Style - Location! Space - Views - Potential! Family Home - Home Business? Solid - Sensational - Views! Location - Potential - Space! Huge Appeal - Great Location!